Hello my name is Jasbir Singh from Chandigarh. 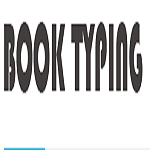 I have deal with book typing company regarding home typing work with company employer name sanjna (maybe it is fake name), her contact no. is 9599667996. When i was deal with her regarding home typing job she’s told me we have just taken a 350 Rs as a registration fees & this is the final amount of registration, you no need to pay any amount in future. We will be providing a data in pdf format which is needed to convert in MS WORD. Then I asked to her how I have to pay my registration fees. She’s told use paytm, & then I have to pay by paytm side 350 Rs ON This: 9871938516 at 13:05 on 18/04/2017 (Wallet order ID: 9287945098). After this she's send me project through mail, from this email ID ([email protected]) & her gave me time of 1 week & she's also told me my payment is done after 7 days. Then I have completed that Typing assignment within 3 days & keep save in computer for sending to her. Then I call to her on 21/042017 & told to her I have completed your assignment she's says ok then send back to my email ID. I will make your payment in your bank account. When i was send all things on her email ID then she's ask for more payment Rs 3000 through mail for checking of my assignment, which is completely wrong thing. For the above information I have to attach all the information by copy past, some of the through web site of this company & some of the through mail.